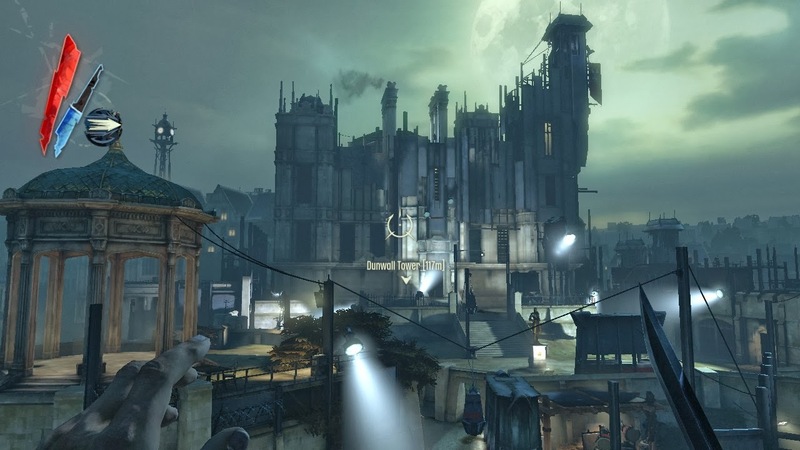 Based in a fictional setting of Dunwall, Dishonored tells us an interesting story of political corruption, betrayal, oppression and resistance, and of course lots and lots of death, whether it’s at the hands of the plague or the never-ending conflict that goes on. The immersive setting and nice story-telling are then assisted with gameplay that gives the player a chance to tackle every challenge in their own way. 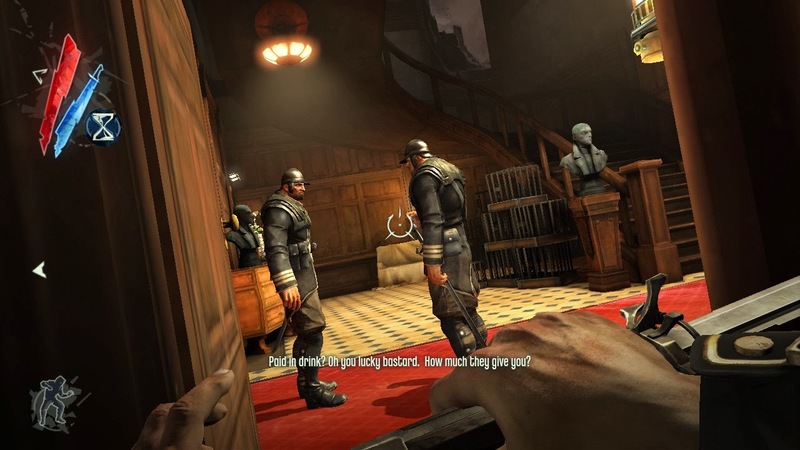 What I greatly enjoyed about Dishonored is the diversity in which it allows you to approach its challenges. It’s a similar style of gameplay as the Deus Ex games. The player can go in with stealth, or they can go guns blazing, or maybe to try some diplomacy, or even to mix and match all of those. Even the primary targets can be handled in ways other than violence. That’s right – it is possible to complete the game without killing any major antagonist. Depending on how the player handles each mission, they will acquire either high chaos or low chaos. Being merciful, using non-lethal ways of taking down regular enemies, and not triggering alarms all lead to low chaos, which in turn leads to a good ending. The opposite leads to high chaos and hence a bad ending. This greatly adds to the replayability of the game and makes it interesting to complete it at least twice. Apart from standard weapons and equipment used in each mission, the player also learns supernatural powers throughout the gameplay. They can do so by acquiring special runes which are found in many areas of the game. Many of these powers are very interesting and provide excellent opportunities to try out new and creative ways of getting past a challenge at hand. 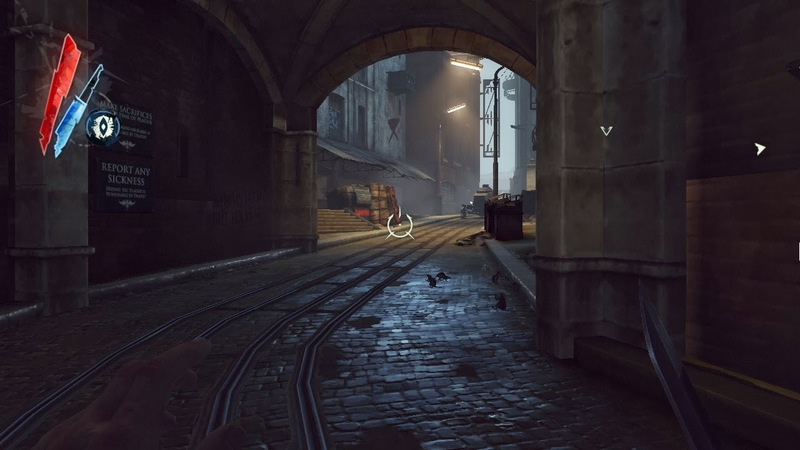 Perhaps the most commonly used power is Blink, which allows the player to quickly teleport short distances from one cover to another, which is extremely useful for stealthy gameplay. There are several great powers to use, but the ones that stood out the most to me were Possession, which allows the protagonist to possess rats and other small animals and to get through small crawlspaces this way, Dark Vision, which allows the player to see nearby enemies through walls, and Bend Time, with which the player can temporarily slow, and with an upgrade completely stop, the time. 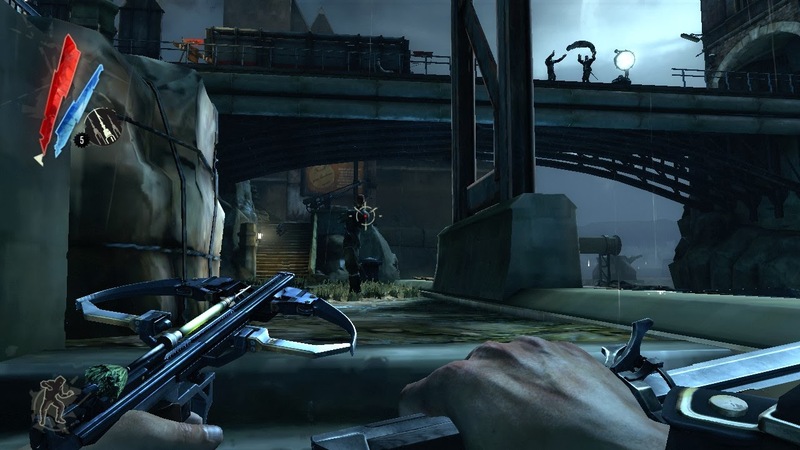 There are few minor things to criticise about Dishonored, like the lack of ways to take out the enemies non-lethally (sleep darts and upclose seem like the only ways), or how sometimes enemy AI and behaviour can be a bit unpredictable. The ending also felt a bit rushed, but once I got to the end of the game, I realised that it’s not so much the ending that’s important in games like these, but the journey itself. All those are just small drawbacks and were nothing compared to the unforgettable experience the game as a whole provided to me. A single playthrough may go for only 15-20 hours, but each minute of that playthrough keeps you fully immersed in the game’s rich and somewhat gloomy steampunk setting, not to mention its great replay value. A game that is surely likely to mess up with your mind. 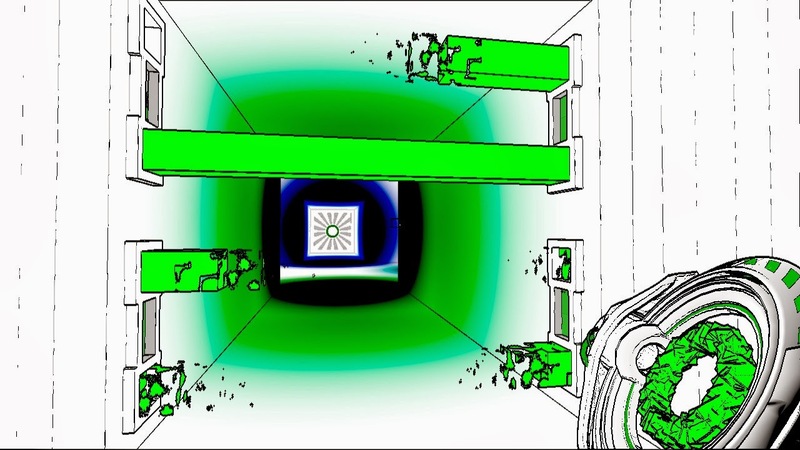 Antichamber can easily boast with its unique art style and rather mind-bending environments. It presents itself as one enormous labyrinth full of various puzzles. However, the puzzles often require you to think outside the box and a lot of the time do not follow standard rules of physics. You could end up in a never-ending corridor, or you could turn around and realise a completely different way has opened up than the one you came from. Sometimes you’d end up walking in circles, other times confronted with branching paths. 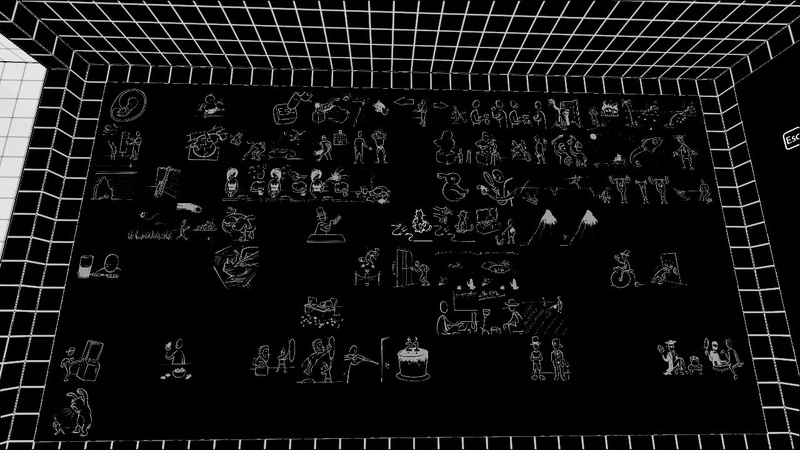 The style of presentation in Antichamber is definitely commendable, but is it really fun? The mind-bending environments are interesting at first, but the novelty wears off very quickly and instead you start wishing that the game would just stop misleading you all the time. The game has a very non-linear approach to it. A lot of the time if you’re stuck, you can simply return back to the ‘lobby’ area and pick a different path and solve the puzzles along that route. Eventually all routes are meant to be important, or at least that’s what I’ve gathered anyway. 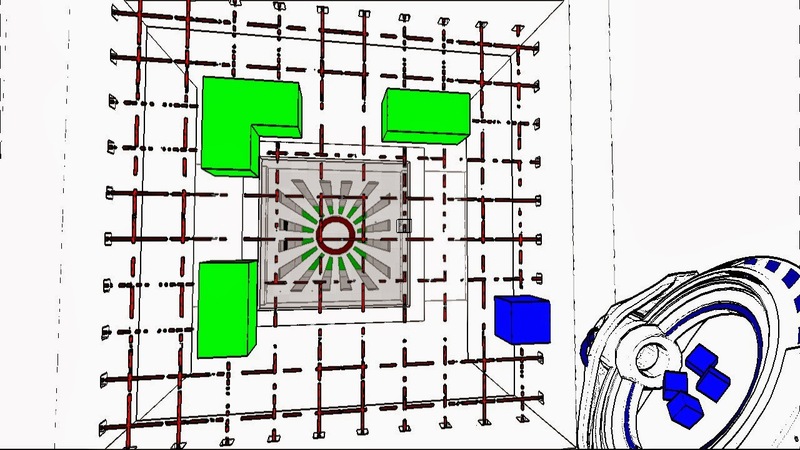 One of the problems about this approach is that as you go on through the labyrinth, you will acquire certain devices that will allow you to pick up and place cubes of different colours in your environment and are meant to be used to solve some of the game’s puzzles. This means that at times you’ll be coming across puzzles that you can’t yet solve until you’ve gotten the right device, which can at times be annoying because there’s no way to tell whether a puzzle in front of you can or cannot be solved at the time. A lot of the game’s ‘rules’ don’t seem to make much logical sense and require a lot of random experimentation. For example, walking over some of the drops will create a path in front of you, or trying to pick up green cubes from the middle of the structure they’re in will cause its ends to disintegrate, leaving you with less cubes to work with. Throughout the game there is also a number of philosophical quotes scattered about. However, most of those quotes don’t inspire much thought and instead are a collection of common sense mantras that you’re more likely to teach your kids. It’s stuff like ‘sometimes you’ve got to go backwards before you can go forwards’. As you go collecting each quote, they all compile on a huge screen in the lobby area. To what end I am not sure, because I didn’t collect them all, but it seems as though it tries to draw a diagram of a person’s life and some of the time they seem relevant to the puzzle in a nearby room. Overall the game’s setting is way too abstract for my liking. I couldn’t get much satisfaction from solving the game’s puzzles, because every time I solved a tricky puzzle, the game would either take me back to where I’ve been already, or bring me to one of the puzzles that I cannot yet solve. The sense of progression is not felt and there is little to no incentive to keep going through the remainder of the labyrinth. After several hours in I got tired of coming back to the same puzzles over and over again, so I ended up giving up on the game. 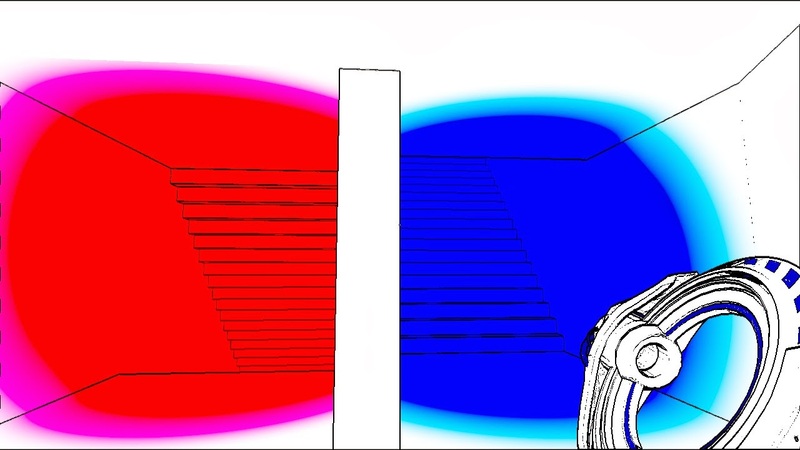 I think Antichamber is the kind of game that you either get it or you don’t. It stands out with its unique art style and unorthodox way of puzzle solving, but it’s hardly rewarding for the player and I couldn’t get much fun out of it. A game that parodies the gaming industry. 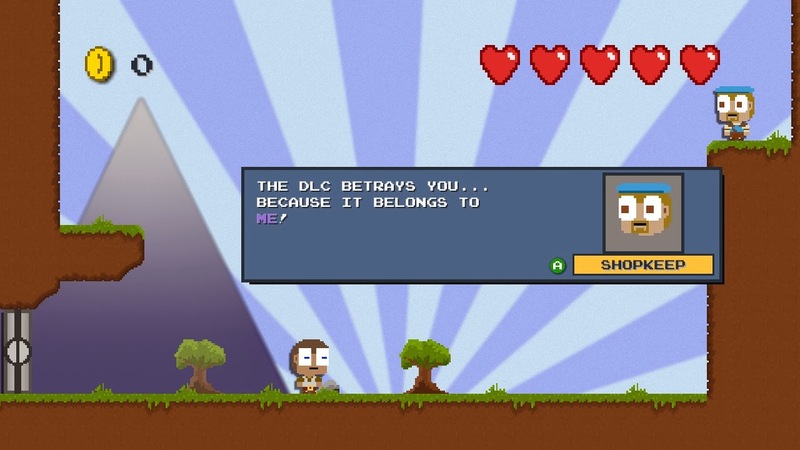 DLC Quest is a very simple 2D platformer at its core whose main premise is to regularly deliver humour to the players in a form of various video game memes and parodies of questionable business practices of gaming corporations. 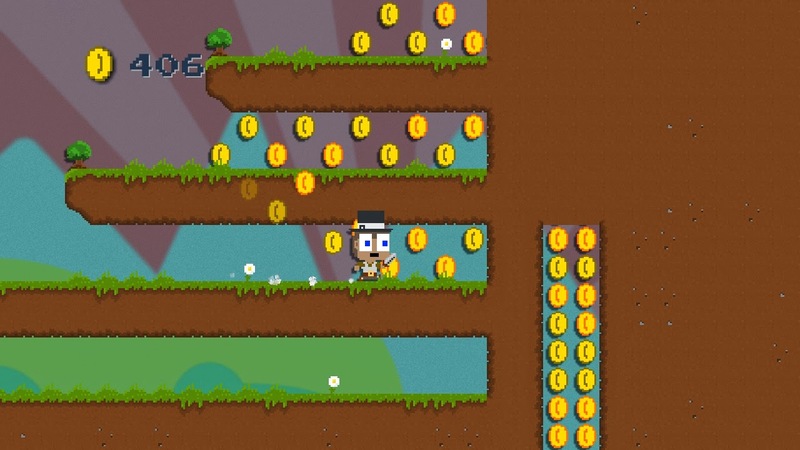 The game consists of a number of small locations which can only be reached once the player has collected a certain number of coins and then used those to purchase a fake DLC from the in-game shopkeeper. 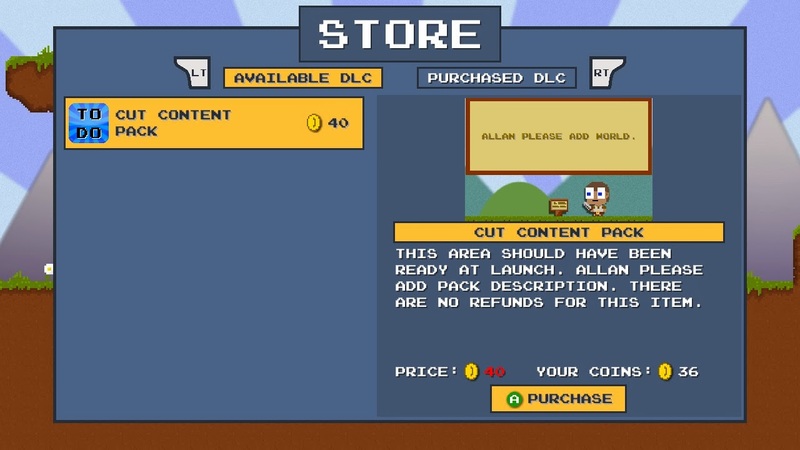 These fake in-game DLCs spoof the way many DLCs are done in the real world, such as offering access to certain areas, adding irrelevant content, and even allowing the player to use some of the core functions such as jumping and pausing the game. The jokes in the game have given me plenty of laughs during the course of my playthrough, but the platforming itself is rather basic and can get kind of repetitive after a while. 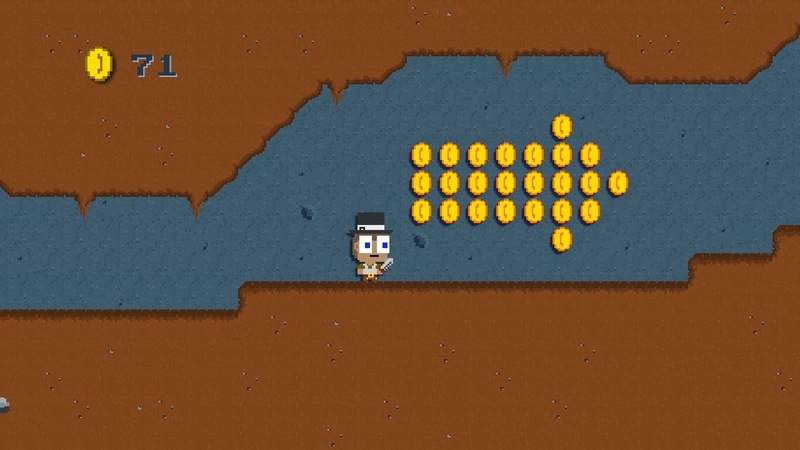 Most of the game simply requires the player to collect coins in various areas, some of which are harder to access than others, but apart from spikes in certain places, there aren’t really any enemies in the game that can hurt you. The whole game consists of two story ‘campaigns’ and it took me about 2 hours to complete both (about 50 minutes on the first and the rest of the time on the second), so it is a very short game, but at the same time it hardly costs anything. I don’t really see it being very replayable and overall it’s probably the kind of game that’s more fun play in a group of friends where one plays and everyone else watches, since its key strength are the countless jokes and not really the gameplay itself. My score for DLC Quest might not be overly high, but it’s not because I didn’t enjoy it. I did have a fair bit of fun going through it. I just wish there was more to it. It’s too simple and too short at the moment.